Back before Thanksgiving, I was picking up items for my centerpiece at Craft Warehouse. 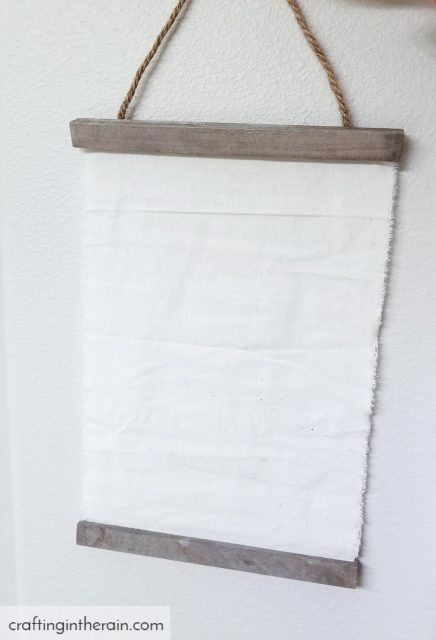 I found this blank fabric and wood wall hanging and knew it had to come home with me. 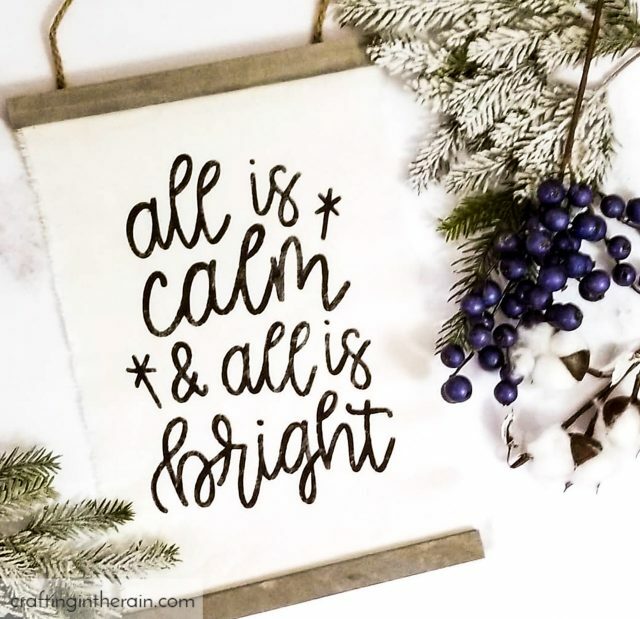 I wanted to paint with a stencil so that the final project had a more rustic and weathered look, than if I had just used black iron-on vinyl. 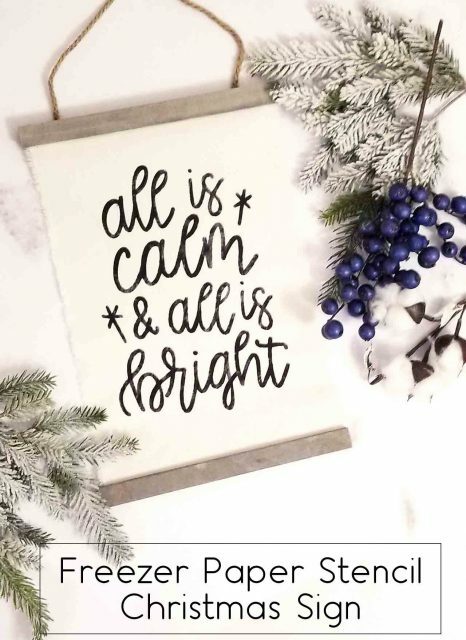 But that would be a fast and easy way to make this all is calm fabric sign too. 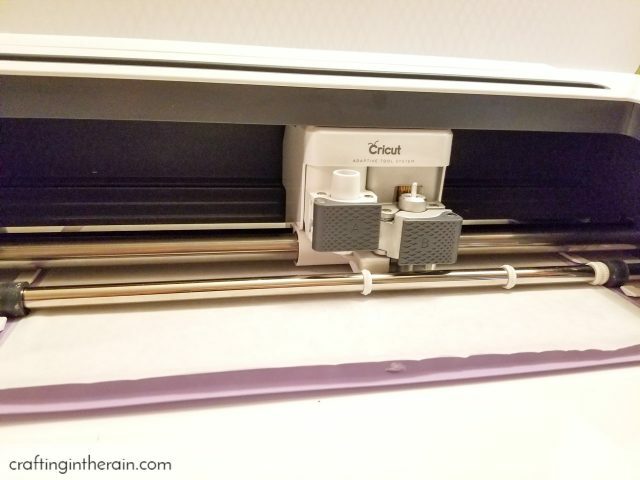 Set the EasyPress to 300 and iron out any wrinkles in the fabric. Upload the SVG to Design Space and size to fit the fabric. Cut a piece of Freezer Paper to fit the mat and press down with the shiny side UP. Then mirror the design. When the machine is done cutting, discard the words from the mat, leaving the outer piece, and all the insides of the letters. Then carefully the outer pieces, this is the main stencil. Position on the fabric and use the EasyPress to gently press down the freezer paper for a few seconds. 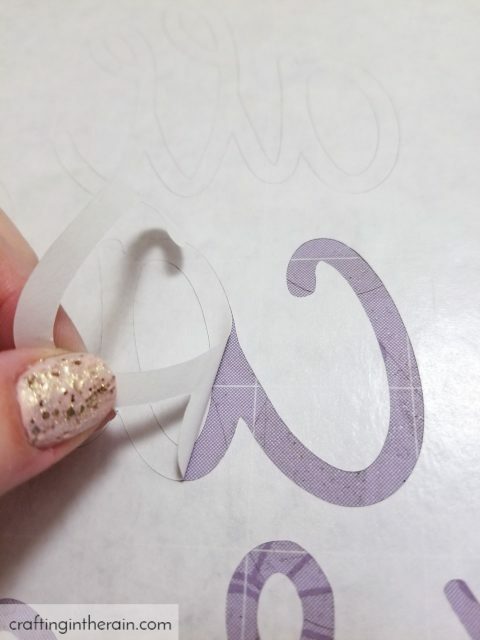 The waxy side of the freezer paper sticks to the fabric, but then is easily removed later. This next part is the hardest part. All those inner letter pieces on the mat have to get placed back in the letters on the design so that the stencil looks right. Just remember that the cut was mirrored on the mat, so think backwards as you place those pieces back in and you’ll be fine. 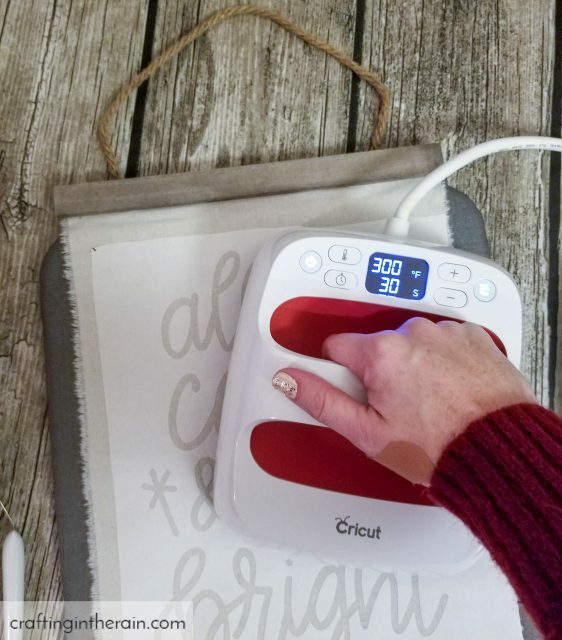 Press each small piece in place with the EasyPress as well – or use this mini craft iron if you have it. 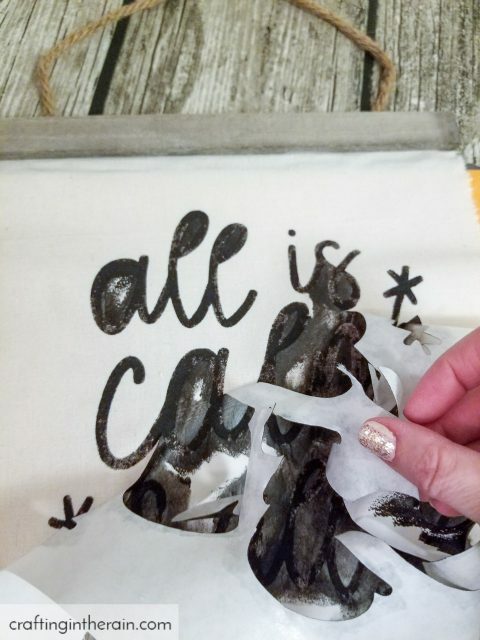 With all the pieces secured to the fabric, dab black paint onto the stencil with a foam brush. Be sure to leave a few spots with “less than full coverage” to give more of a printed look. 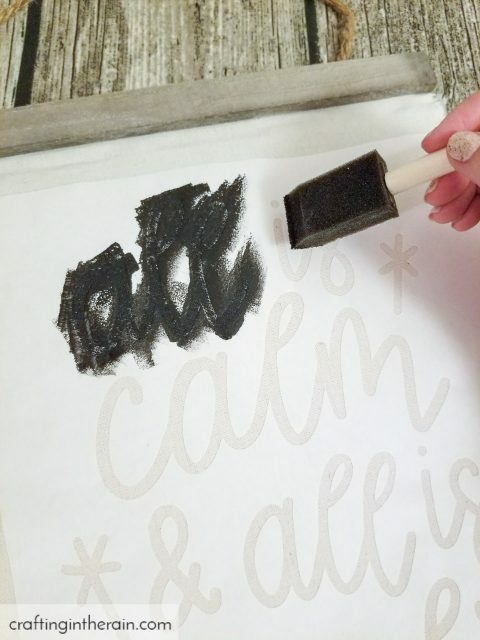 When the paint is dry, peel away the freezer paper. Then it’s all done and ready to hang! And now I kind of want a dozen of these fabric signs hanging in my house. I hope you’ll try one. 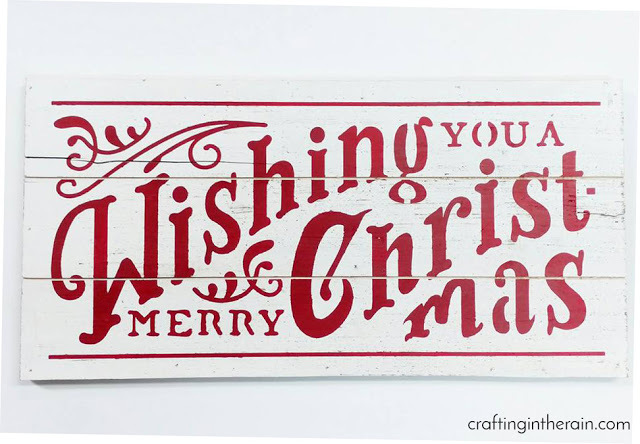 And here’s another good Christmas sign stencil project – this one is on wood.